This atmospheric, electronic ballad was originally released in 1984, and became the band's biggest global hit. However, the song wasn't a major hit in the UK until August 1985, which was just about the same time I started my first job after leaving school. I'm not sure if that's a fond memory, although virtually every song from the decade conjures up some sort of memory, be it good or bad! After a live performance of "Drive" by band member Benjamin Orr at the Philadelphia Live Aid event in 1985, the song was re-released in the UK with all proceeds going to the Band Aid Trust - it eventually raised nearly £160,000. The tune was also used as background music during a montage of clips of the Ethiopian famine at the London Live Aid event. Drive re-entered the UK singles chart on 21st July 1985 at #78, before slowly climbing the charts (in first gear!) and reaching it's peak position of #4 on 25th August. The song slipped back down to #6 on 1st Sept. The single featured on The Cars fifth studio album "Heartbeat City", and reached #3 in the U.S. The B-side featured the strack "Stranger Eyes". In the video you can see the model and actress Paulina Porizkova who later married the song's writer (and band member) Rik Ocasek. 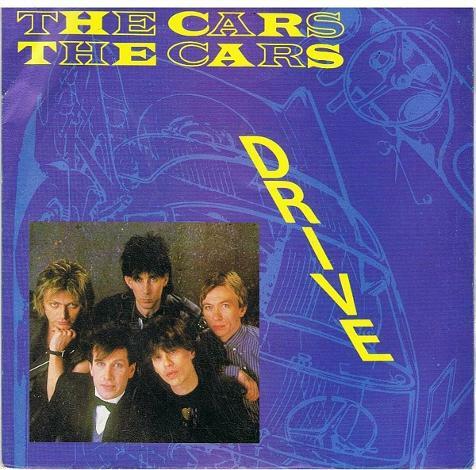 The Cars formed in 1976, releasing their debut self-titled studio album in 1978 which achieved 6 x platinum in the U.S. The band broke-up in February 1988, but reformed in 2010, releasing a new album in 2011 entitled "Move Like This" which reached #7 in the U.S. The band have been inactive since 2011, although they have not officially split-up. 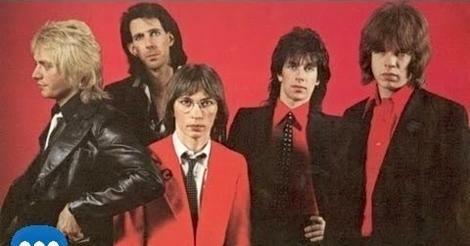 In 2016, re-mastered versions of the band's albums were released, with Ric Ocasek supervising. Although the 80s production techniques make the album sound a little dated now (whether that's important or not is debatable), at the time it sounded pretty fresh and energetic. It features perfectly crafted, melodic, new wave rock and power pop songs, and fans rate it as one of the band's finest. The album reached #25 in the UK achieving a Gold certificate. In the states, the album achieved 4 x platinum.